Searching for orthodontic braces in Parkland, Fl? Dr. Carmen Briceño Crespi of Miami Lakes Orthodonitcs is a leading provider of metal and clear aligners in the South Florida area. If you are ready to smile with confidence e-mail us today! Orthodontic Braces is a device that a majority of folks get to aid with adjusting their teeth. Braces is capable of doing a lot more than fix your smile, but you will have to make time to care for them in the right way. There are several tips that you should know about when cleaning your braces; like flossing & brushing. You need to gently wash your braces as well as your teeth to to be sure that there is no plaque build-up. To get this done, you must floss and brush your braces and teeth correctly. There are many steps that you need to take when doing this. The very first is to prepare your braces for brushing . To get this done, you have to remove the bands from the braces and any other removable parts. These parts can become damaged if you brush and may cause problems. You are going to have sanatize your braces using your brush. You will need to hold the toothbrush at a forty-five degree angle to be certain that you cleanse around the pins and wires. You should brush every wire from top to bottom and take care to be certain that you remove all the plaque and debris. It is recommended that you start with the braces on your upper teeth and then the lower teeth. As soon as you have cleansed your braces, you will need to wash your teeth. Each tooth should be cleansed individually following a circular motion. You ought to be careful with the amount of pressure you use when cleaning your teeth and brush both inside and outside surface of the teeth. Once a day, you must floss your teeth. Your orthodontists will be able to show you the best way to floss around the braces that you have. You need to follow these guidelines and make use of the flossing product that is made to be used with braces. After flossing, you need to rinse with some water or mouthwash. You need to then examine your teeth and braces in the mirror to search for spots that you might have missed. If you see any, you should clean that area again to be sure that the braces are properly maintained. Why Choose Lakes Orthodontics as Your Parkland Orthodontist? Through the time that you may have your braces, you need to frequently visit your orthodontist. This will help you sustain your braces and ensure that fit correctly. Scheduled tweaking is going to be done through the time you wear the braces and you might feel a little tightness at these times. The visits may also give your dentist the chance to make certain your braces will still be in good condition. When you notice something odd on the braces, you must inform the orthodontist when you see them. Troubles with your braces can often be fixed fairly quickly should they be caught early and they may not lead to pain. There are several tips you need to understand about when taking care of your braces. Cleaning your braces and teeth correctly is essential and you must take time to accomplish this the right way. You also need to be open with the dentist about any issues that you may have. 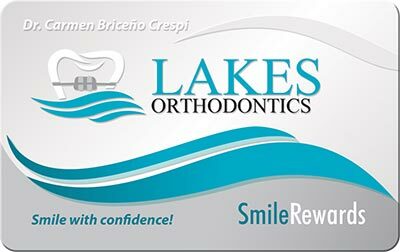 If you would like more information about the Parkland orthodontic treatment offered by Dr. Carmen Briceño Crespi of Lakes-Ortho.Com, please visit at our orthodontic braces blog!